The UK has one of the lowest rates of social mobility amongst OECD countries. This means that children growing up in poverty are less likely to achieve in school, to attend university, and to find productive employment as adults. By the age of seven, children who are eligible for Free School Meals are more than twice as likely as their better-off peers to be behind on expected reading levels. Over 60 percent of these children will fail to achieve five good GCSEs, which significantly increases their chances of becoming unemployed upon leaving school. Debate Mate aims to tackle educational disadvantage in some of Britain’s most deprived communities. It does this by recruiting and training university students to run extra-curricular debate workshops in schools with an above average percentage of children eligible for Free School Meals. Our programmes increase speaking and listening attainment and improve a range of higher-order thinking skills and non-cognitive abilities such as confidence, teamwork, and leadership. In doing so, our programmes address the widening skills gap between education and employment, whilst raising aspirations and helping students to make informed post-18 choices. We believe that every child deserves equal access to a top education. Debate Mate supports the young people of today to find their voices, so that they can become the leaders of tomorrow. 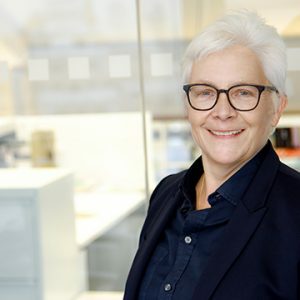 Margaret has over twenty years' experience as a commercial barrister, combined with two decades in the voluntary sector including Centre Point and the NSPCC Justice for Children programme. Jess graduated from the University of Warwick with a degree in Comparative American Studies. As part of her degree she spent a year studying History at UCLA in the USA. Jess is a Teach First ‘07 Ambassador, she worked as an English and History teacher at The Lammas School and Sports College in East London where she was appointed Whole School Literacy Coordinator, and was committed to creating a debating community within the school. 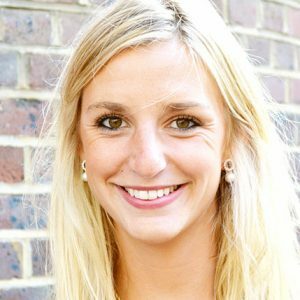 Jess joined the Debate Mate team in September 2010 to grow the programme across the UK, and currently oversees the running of the charity and their strategic vision. Enayah graduated from the University of East Anglia with a degree in English and American Literature. She completed her PGCE in 2005 and has worked in inner-London secondary schools since then, teaching English up to A Level. 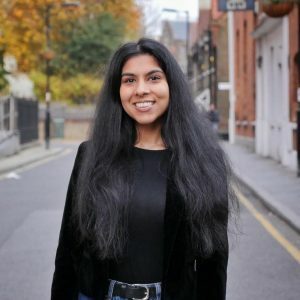 Enayah was Deputy of the English and Literacy Faculty for 5 years at Acland Burghley School before joining the Debate Mate team in September 2015, where she oversees the running of Debate Mate's UK programmes and operations. Benedict has been involved with Debate Mate since its first year, and has taught the programme in over a dozen schools. He won a scholarship to read for a Masters’ in International History at the LSE, having previously read International Relations & History at the same university. At LSE, Benedict founded and edited The London Globalist, an international affairs magazine with chapters across the world. 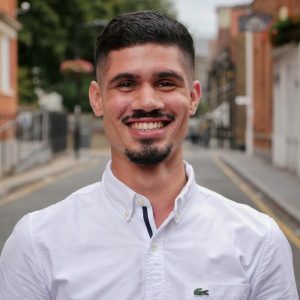 In 2011, Benedict took part in Debate Mate Israel/Palestine, and before joining the team in 2012, spent a month teaching as part of the Debate Mate Jamaica programme. Seun graduated from the University of Nottingham with a degree in Politics. She was President of the Nottingham Debating Union, successfully launching a schools programme, and representing Nottingham at the European and World Universities Debating Championships. Seun was a mentor on the Nepal 2010 programme and took the team to the 2011 World Schools Championship held in Dundee. She has worked for Debate Mate in Africa, the Middle East and Asia and is currently responsible for Debate Mate’s international development. Seun joined the team in September 2011. 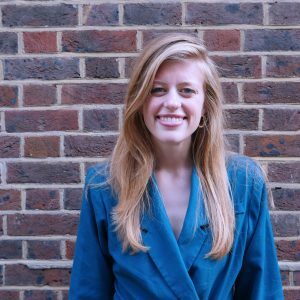 Marie-France has been involved with Debate Mate since 2014-2015 - when she started as a mentor - before becoming a Programme Director on the Primary Programme in 2015-2016. She also co-led the international programme in Kenya in Summer 2016. Marie-France graduated from Western University, Canada, with a degree in Media and the Public Interest. She is very excited to be working as the Deputy Educational Development Director this year and will be overseeing the Core Programme. 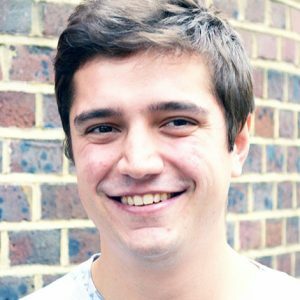 Joe graduated from the University of Bristol with a degree in English Literature, mentoring for two years during his time as a student. In 2012, Joe was selected to represent the United Kingdom in the Benjamin Franklin Transatlantic Fellowship (BFTF), a debate and international relations programme in America sponsored by the State Department. Since joining the Debate Mate team full-time, he has run the Accelerate Programme, designed a Debate Boxing Programme, and delivered the Debate Mate Programme across Rwanda. Ade has been involved with Debate Mate in various capacities since 2008 when he started on the programme as a student. He went on to mentor for Debate Mate in both the UK and Nigeria, while he read Economics and Philosophy at the University of Nottingham. During his time at university, Ade starred in the ‘Kings and Queens of Speech’, a documentary about Debate Mate on Sky 1. 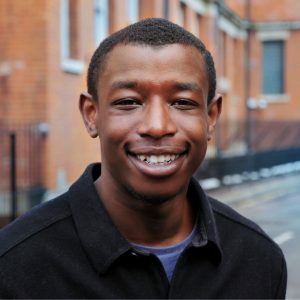 Ade joined the Debate Mate team in 2016 and is currently an Executive Programme Director overseeing the Accelerate programme and DebateBox programmes. 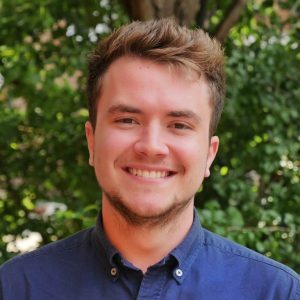 Hugo graduated from University College London in 2017 with a degree in Ancient History. He was a mentor with Debate Mate for three years - teaching in both primary and secondary schools across London - before joining the office full-time. In 2016, he spent three weeks mentoring in Rwanda, and in 2017 was part of the Debate Mate team that helped to run the Parliamentary Debate World Congress in Japan. Hugo also led Debate Mate's international programme in Nepal in 2018, and currently oversees all of Debate Mate's mentor recruitment, assessment, and training, as well as delivering our Teacher Training Programmes, and supporting the Core Programme. Millie graduated from King’s College London in 2017 with a first-class degree in International Relations. 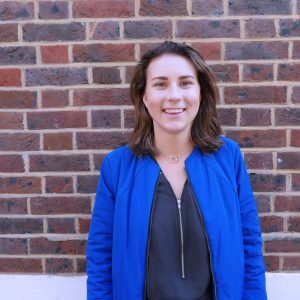 Millie has mentored for Debate Mate on both the Core and Accelerate programmes in schools across the UK, as well as on a number of our different projects, working with various organisations such as Intelligence Squared and The Premier League. Millie has also mentored internationally in Korea, and has run programmes in South Africa and Rwanda. She currently oversees the Manchester Secondary Programme, as well as all of Debate Mate's Monitoring and Evaluation. George first joined Debate Mate in 2010, when he attended the club at his secondary school in London. 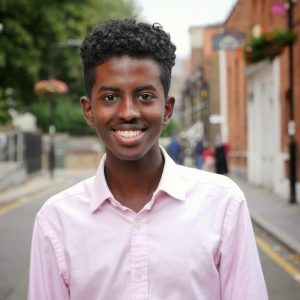 After winning the national Debate Mate Cup in his final year, he went on to join our Graduate School, and spent three years mentoring in primary and secondary schools across London. George has also previously helped to train both the Scottish and Welsh national debating teams and was a judge at the two most recent European debating championships. This is his second year working at Debate Mate, where he runs our Secondary Programme in the West Midlands, as well as the Debate Mate Plus Programme in London. Karishma graduated from the University of Nottingham in 2015 with a degree in Modern Foreign Languages. As part of her degree, she spent a year abroad where she studied in Valencia and Tübingen, and worked at Amnesty International in Madrid. After graduating, Karishma completed the Teach First Leadership Development Programme and taught Spanish and French at Droylsden Academy in Manchester. 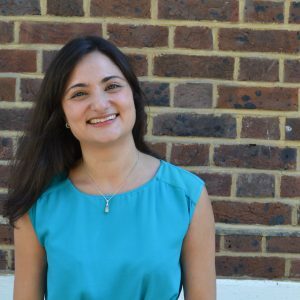 During her time at the school, she saw the Debate Mate Core Programme in action, and joined the team as Senior Programme Director in September 2018 to head-up our bespoke student training and partnerships. 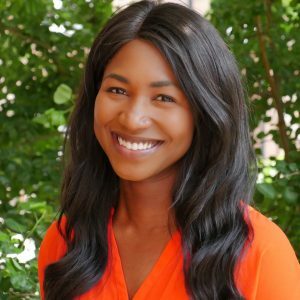 Ronke graduated from the University of Manchester with a degree in History and American Studies in 2017. During her time at university she mentored on the Debate Mate Primary and Accelerate programmes. Ronke was also the head of the American Studies Society at Manchester and helped to oversee their activities. 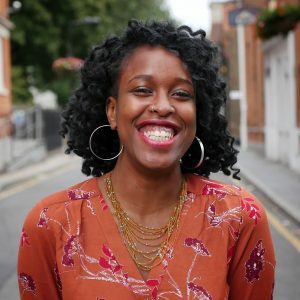 Following her graduation, she developed her passion for education as an English language teacher at a primary school in Barranquilla, Colombia - and also has experience as an educational volunteer in both Ghana and London. Currently, Ronke oversees the West Midlands Primary Programme at Debate Mate. 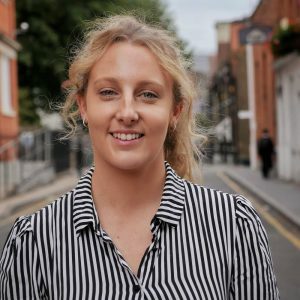 Elsie graduated from King’s College London in 2018 with a degree in Law with European Legal Studies, completing a year abroad in Italy. Whilst at university, Elsie mentored on Debate Mate's Primary Programme, and recently spent two months teaching English and debating world issues with Japanese students in various schools across Japan. She is currently the Programme Director for both the Leeds and Nottingham regions. Lizzie graduated from the University of Bristol with a degree in English Literature and Theatre. During her time at university Lizzie mentored on the Bristol Programme, as well as mentoring on Debate Mate's International Programme in Nepal. In Bristol, Lizzie was Head of Operations for the university’s radio station, Burst. Lizzie also volunteered as a co-presenter and newsreader on the One Love Breakfast show for the community radio station BCfm. 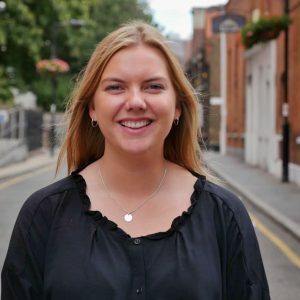 Lizzie currently runs our London Primary and Bristol Programmes, and works on the Debate Mate podcast. Kristian graduated from the University of Manchester with a degree in Physiology in 2017. Whilst at university, he mentored for Debate Mate and was a Regional Representative in the Manchester region. Kristian also dedicated much of his time to training and competing for the Moss Side Boxing Club. In 2015, he spent 2 months as a Camp Counsellor at the Homes for Homeless summer camp in New York. Since graduating, Kristian has spent a year in Moscow as an English, Science, and Mathematics teacher. As a Programme Director, he runs our Liverpool Secondary Programme, and assist in the running of the DebateBox programme. James recently graduated from the University of Manchester with a degree in Philosophy, Politics and Economics. 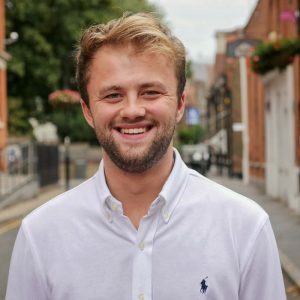 James has mentored for Debate Mate on both the Core and Accelerate Programmes in schools across the UK and has also mentored internationally in Rwanda, Nepal, China, and South Korea. 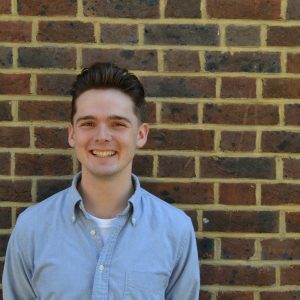 At University he was head of Social Media and Communications for the PPE Society, and Fundraising Officer for The Anthony Nolan Charity. 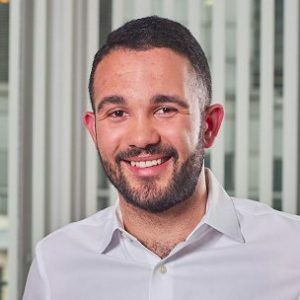 James also mentored on a number of different bespoke projects, working with various organisations such as Deloitte and The Chartered Institute of Personnel and Development. This year he is overseeing the Manchester Primary Programme. 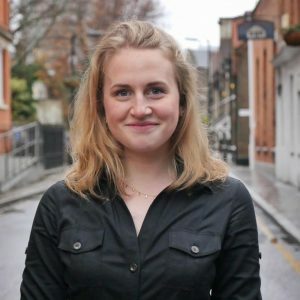 Georgia joined the Debate Mate team as an intern after graduating in Biomedical Sciences from The University of Plymouth in 2017. She has now joined the team as an Executive Graduate Trainee, working closely with the senior team to manage Debate Mate's Platinum 100 Club - a network of high net-worth supporters - as well as working in the schools programme. She is excited this year to mentor on the London Primary Programme, and to launch the Debate Mate Podcast. Haider is now starting his sixth year with Debate Mate. He began as a student on the Core Programme in 2014, and then joined the Graduate School in 2015, which he remained part of for four years. During this time he represented Debate Mate in seven national finals and was invited twice to trial for the England National Debating Team. While in Sixth Form, he mentored for Debate Mate on the London Primary Programme, and organised his own debating competition - the Harry Potter Schools Debating Competition. 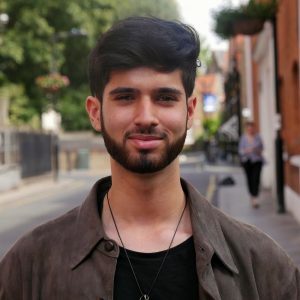 Haider has applied to study medicine, and is currently on a gap year fulfilling his dream of working full time for Debate Mate. He is responsible for running the Graduate School and the East London programme. Adam was a student on the Debate Mate Core Programme in 2011 as a Year 7 pupil at ARK Walworth Academy. Using many of the skills he gained on the Core Programme, he successfully applied for an academic scholarship in 2016 to study A-Levels in History, English Literature, Spanish, and Government and Politics at Eton College. He is currently on a gap year before going to university, and is very excited about the opportunity to get involved with Debate Mate. 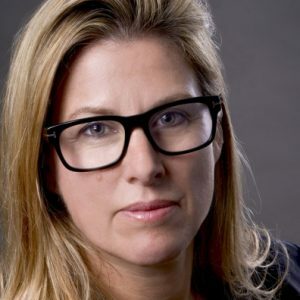 Principal, GLG Partners; founder, Britt Lintner Ltd.
Britt Lintner joined Deutsche Bank in October 2015 to manage distribution for Liquid Alternatives. Before joining Deutsche Bank, Britt was a Managing Director in the UK institutional sales team at Man/GLG investment management for nine years. Prior to Man/GLG, she spent eight years at Lehman Brothers in institutional sales and sales trading in New York and London. Britt Lintner holds a BA in Economics from the University of Wisconsin-Madison and a Master’s Degree from the Sotheby’s Institute of Art. Fiona has been involved in a variety of voluntary projects and community activities for over 50 years. She has 15 years of experience with Family Service Units, where she was Chair. Fiona is a Fellow of the CIPD. 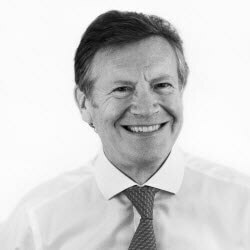 Formerly responsible for Marylebone Partners’ direct investments in public markets, David remains a Partner of the firm in a non-executive capacity. He was previously Head of Public Equities at RIT Capital Partners plc. He is a non-executive director of Augmentum Fintech plc. Marcus leads Deutsche Bank’s innovation efforts across Asia Pacific running the Singapore Innovation Lab where he is based. Marcus has held previous roles in venture capital and strategy consulting. Marcus graduated with a BA in French and German from University College during which time he was also a mentor for Debate Mate. Jude was a founding member of Indigo Talent, a media agency that finds and recruits talent for some of the largest production companies in the UK and beyond. 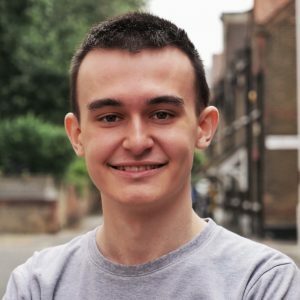 Jude has been on the Board of Trustees at Debate Mate since 2016. Sara trained as a barrister and is a Fellow of the Royal Society of Arts. Sara’s career has spanned TV, film, and digital in both business and creative roles. 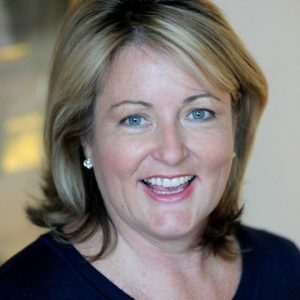 As COO of All3Media since 2015, Sara works closely with the businesses to drive the growth of the business in the UK and oversees.